In his first, exclusive interview since being expelled from Saudi Arabia over a tweet, former Canadian ambassador Dennis Horak criticizes Canada's diplomatic efforts in the Kingdom as well as Iran. Canada's former ambassador to Saudi Arabia, who was expelled this summer in a diplomatic row, has been holding his tongue — until now. 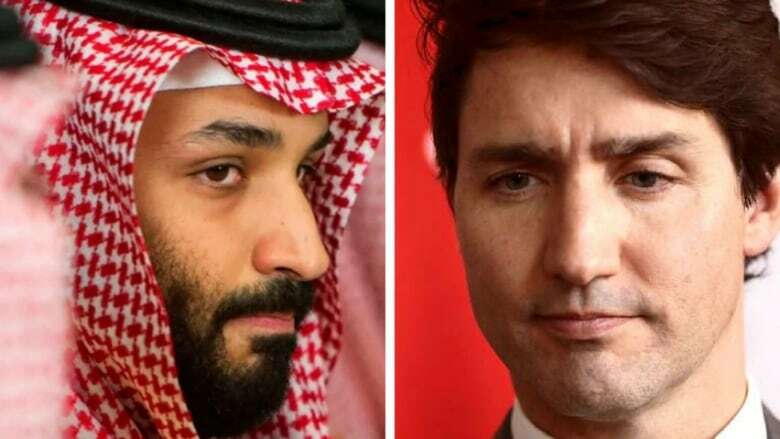 Dennis Horak wants to talk, and he has a lot to say about the tweet that effectively ended Canada's official rapport with Saudi Arabia, as well as Canada's handling of some of its international relationships. He says he's not impressed with either. "I think we took a step too far," he told CBC's The National during an interview at his brother's Toronto home. "Whether we can come back from that, I don't know … But we need to begin deciding, do we want this? Do we want to salvage this relationship or not?" His brother's house is also where Horak happened to be in early August when, on vacation, he learned the Saudis were throwing him out of the Kingdom. It was news that landed in the middle of a backyard BBQ with friends. And it came via Twitter. The irony of that isn't lost on Horak. "Yeah, yeah, not a fan," he says of Twitter diplomacy. 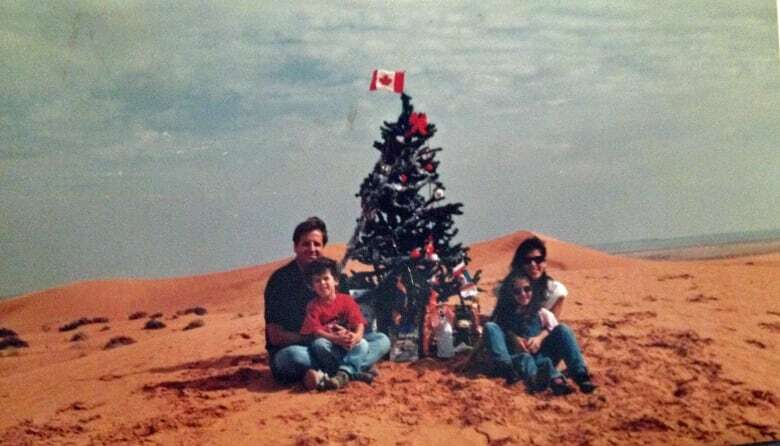 Horak has been a diplomat for nearly 31 years and was at the three-year mark as Canada's ambassador in Saudi Arabia, his second posting in the Kingdom. Now retired, he had hoped all that regional experience might help him advise those trying to do business in Saudi Arabia. But then came the diplomatic dustup. "Anybody who is going to want to do business in Saudi Arabia is not going to be putting me on a board," he says. "I'm going to be the skunk at that party." A single tweet incensed the Kingdom. Urging the immediate release of jailed women's rights activists, it was written by Global Affairs Canada. Then, as has become the practice, Horak says, it was translated by the Canadian embassy in Riyadh into Arabic and tweeted into infamy. The Saudi response was swift and furious. The act of calling for an "immediate release" seems to be the language that set them off. Horak says within six hours of the tweet he was barred from returning to the country. The Saudi ambassador to Canada was recalled, new trade stopped, and orders given to withdraw Saudi investment in Canada. That might have been enough, but the retribution continued. A total of 8,300 Saudi post-secondary students were told to pull out of Canada. Flights to Canada by the Saudi-owned airline were cancelled. "It was a very big surprise. I get that they were upset about the tweet, but to react the way they did, it was a serious overreaction," Horak says. While King Salman is still in charge in Saudi Arabia, it is Crown Prince Mohammed Bin Salman, or MBS as he is known, who seems to be the de facto leader. He is known as someone who digs in, so backing down from this battle seems unlikely — there are no outward signs that's happening, as he and his officials continue to slam Canada. In an interview with Bloomberg last week, for example, MBS continued to insist Canada overreached. "They have to know they have made a mistake. I believe they know that they have made a mistake, but we will see how we can get things back again." At the UN in September, during an interview with the Council on Foreign Relations, Saudi Foreign Minister Adel Al Jubeir accused Canada of treating the Kingdom of Saudi Arabia (KSA) like a banana republic. "You can talk to us about human rights anytime you want, we'd be happy to have that conversation like we do with all our allies, but lecturing us? No way. Not going to happen." Watching that same video, Horak periodically nods. "He's right. I mean, the American State Department issues a human rights report every year, the British parliament does raise issues every now and then, but they both have very strong relationships with Saudi Arabia. And so it can survive some of those public dressing-downs in ways that we were more vulnerable to," he says. He explains the Saudis believed Canada was targeting their public at a time of volatility. While some of the reforms — women driving, the introduction of public cinemas, etc. — are proving popular with the Saudi people, other elements "are not happy with reforms and feel that perhaps Saudi Arabia is being too compliant with Western demands," he says. "This would give them ammunition to say, 'see, look, we are being pushed around by the West, they're now demanding our judicial system do X, Y and Z.'" Horak says he wasn't surprised that no other country came out publicly in support of Canada. How could it be worth the risk for them, he asks. But should Canada apologize, as the Saudis suggest? No, he says. But he thinks this rift might be fixable. "It begins with the decision, do we care? Do we want a relationship? And that decision needs to be taken first — and then figure out if we care, how do we get there," he says. "But do we want it? I don't know." So, what did the Minister of Foreign Affairs or the Prime Minister have to say to Horak once he was expelled? What questions did they have? What are their thoughts about how to go forward? What did he advise? What was his conversation like with the minister? "I haven't spoken to her," he says. Did she not take his call? "I just didn't speak with her. I spoke with her staff and I spoke with staff at GAC [Global Affairs Canada], and I was there for a couple days after as we were trying to assess the impact. But no, I didn't speak personally to the Minister or the Prime Minister." With diplomacy in his DNA, he explains it's not really traditional in Canada for ambassadors to have those direct conversations. Nor is it his sense that Canada's attempt to push for the release of Samar or Raif Badawi would have moved the Saudis to show leniency towards the activists. "It certainly wouldn't help them." Conversely, he's careful to say that he doesn't think the jailed activists would be punished for Canada's tweet. Those who did take notice of the message were human rights groups. They were full of praise. Canada, effectively going it alone, also publicly owned its call to issue the tweet. That's telling to Horak. "It seems to me the applause the government has gotten from Amnesty International and other organizations is something that's welcome by the government, and perhaps rightly so. And perhaps that's what's driving it," he offered. "I wonder sometimes, personally, what constituency we're playing to on some of these issues." Is the applause of some worth as much as a relationship with Saudi Arabia? "In my view, no … we can have an influence in that country." He adds that he's "under no illusions" that the influence would necessarily be huge, but says, "We were normally pushing on an open door in Saudi Arabia. We did some programs, for example, as part of the Vision 2030 program, which is their main reform program." Horak is careful to say his criticisms aren't political. He is just as frustrated with how the Harper Government handled Iran. He was thrown out of that posting too, when Canada cut ties. That came after Canada passed the Justice of Victims of Terrorism Act. "That sounds great, but when you have a law that allows you to start seizing Iranian government territories in Canada, which this law does allow, there's no way we could be in Iran anymore." Having no official relationship with either country, he says, accomplishes little except for hammering a principle. "Whether we like what they are doing or not is not really the issue. If you want these changes to happen, you have to have your voice heard … you have to engage them. And we didn't do that." These are opportunities lost for Canada, he maintains. Life now for Horak is about finding a new path; perhaps some writing or analysis. And it's about quietly dealing with the oddity of being tossed out of an ambassadorial posting, again. All his belongings in Saudi Arabia were packed up by staff and sent back to Canada, and he's certainly not able to go back one last time. Persona non grata is the official term, "skunk at the party" is his. 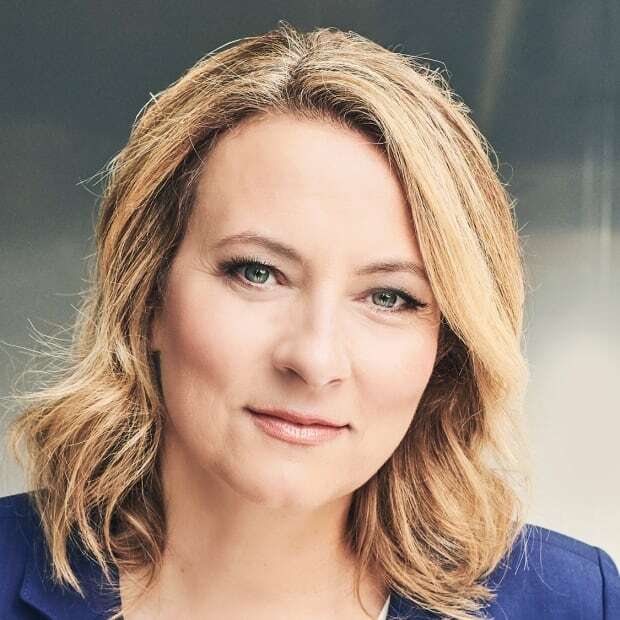 Emmy Award-winning journalist Adrienne Arsenault co-hosts The National. Her investigative work on security has seen her cross Canada and pursue stories across the globe. Since joining CBC in 1991, her postings have included Vancouver, Washington, Jerusalem and London.